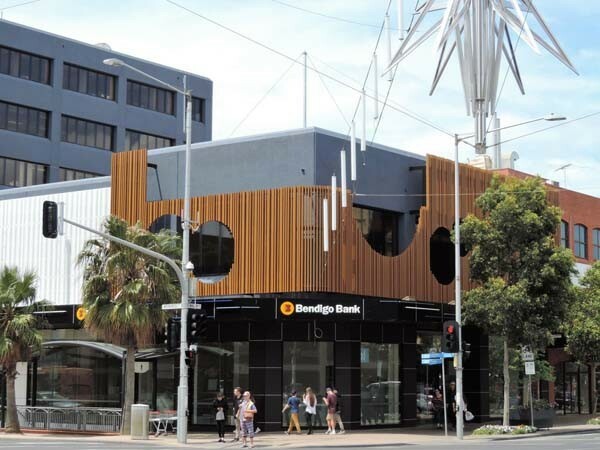 Several materials from Covet International were used for a commercial office building in Central Geelong. The main feature of the project was the Mitzosuki bolt fix battens wrapping the corner of the building, all cut to exacting dimensions in Japan. Covet also supplied 1x2m Art Board panels for the ground floor cladding, custom blue battens on the awning, and lobby concrete tiles. The project was designed by Four18 Architecture, with City to Coast Stainless installing the battens, and Alclad Architectural installing the cladding.